Basic income is the idea of a universal, sufficient and unconditional basic income, paid by the state to each resident. Advocates of basic income argue that this would support quality of life, creativity and innovation, along with a fair, caring, sustainable and just society and economy. It is do-able now in Ireland and would have immediate benefits for everyone, for households, local economy and society and for the country as a whole. Luí Smyth will present Basic Income Ireland’s proposals for a basic income scheme for Ireland. 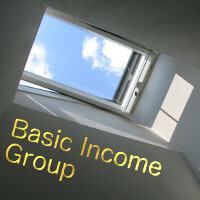 Luí is a member of the Steering Group of Basic Income Ireland. He has been working at the cross-section between technology and finance since 2012, including various roles working on blockchain and digital currencies. He sees basic income as a crucial antidote for managing technology shock and tackling rising inequality. Anne Ryan (Feasta and Basic Income Ireland) and Morag Friel (Feasta) will also be present to engage in discussion. Please come along and have your say about how a basic income could affect you, your household, community, business or organisation. The 3rd annual Apple Festival and Community Fair takes place in the ecovillage at Cloughjordan next Saturday. This festival, which coincides with the European Day of Sustainable Communities, celebrates the yield of apples, those that tend to the trees, who work the land and those who create delicious food. A basic income is a payment from the state to every resident on an individual basis, without any means test or work requirement. 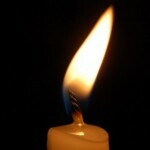 It would be sufficient to live a frugal but decent lifestyle without supplementary income from paid work.